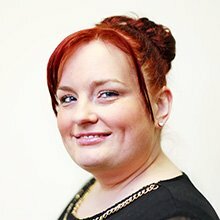 Hayley has a comprehensive career in Accountancy & Credit Control, and has recently completed her level 2 AAT qualification. She is a highly organised & a very conscientious Assistant Accountant who has a reputation for accuracy and efficiency in equal measure! Hayley has been with Central for over 10 years & is an established, well respected and valued member of the team. Being a mother of three young children Hayley enjoys spending most of her free time with her family. When she’s not being a mum Hayley spare time is spent studying towards her level 3 AAT qualification. She is always thinking ahead and willing to take on new challenges.